Open your browser and log in to Roundcube Webmail. At the top right, click the Settings button. 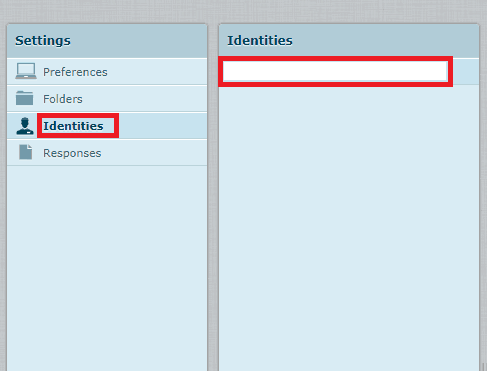 On the left, click Identities, and then from the middle, select your identity. 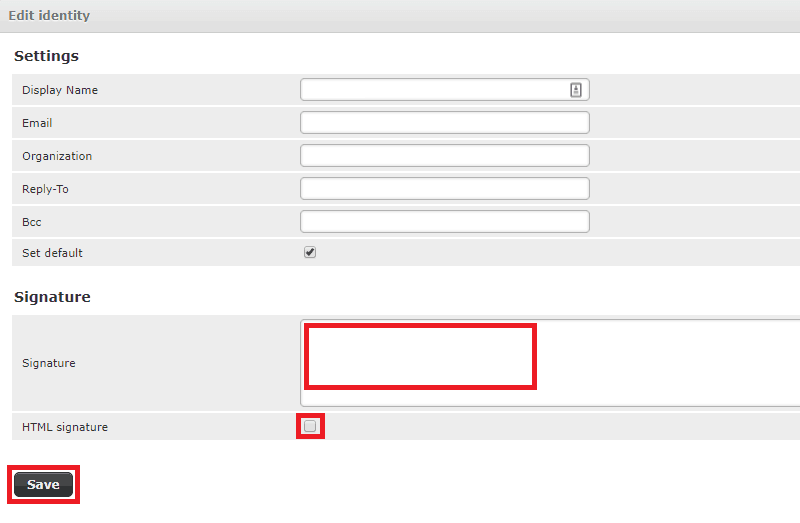 At the bottom, paste your email signature into the text box provided under Signature. Make sure the HTML signature checkbox is ticked. Click Save.